A lightweight handle with a grippy TacHide™ onlay is sure to make Gerber's Freeman Guide Folder a quick favorite amongst hunters. A lightweight handle with a grippy TacHide™ onlay is sure to make Gerber &apos;s Freeman Guide Folder a quick favorite amongst hunters. Stainless steel full fine edge with gut hook. 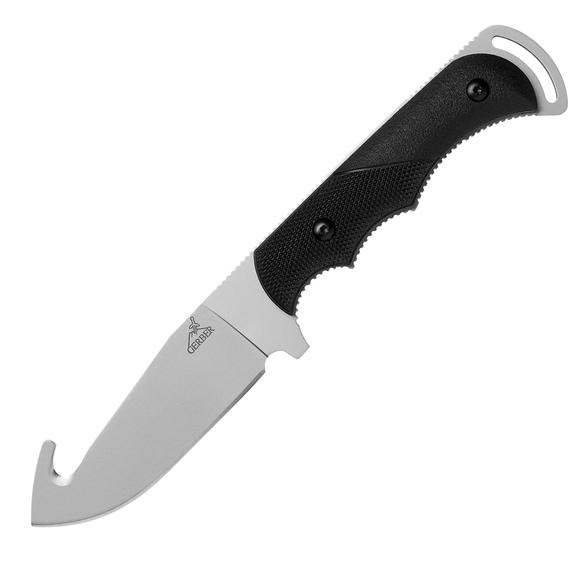 Overall Length open: 8.1", closed: 4.5"